Improper management of agrochemicals, including POPs (Persistent Organic Pollutants) gives rise to enormous problems for human health and the environment. People handling these substances should be aware of the problems. Studies and the contact with rural population, who is the major consumer of agrochemicals, shows that the majority is not aware of or has a wrong impression about impact of agrochemicals and very often because of their simple naivety purchase obsolete pesticides by different ways and use them. (AWHHE, 2003, 2004). After the collapse of the former Soviet Union and the privatization of lands the villager has remained alone with his problems. Despite the existence of national agriculture strategy the implementation of it on local level still leaves much to be desired. The clear mechanisms of raising awareness and provision of information, and also the educational programs either do not exist or are limited. There are no specialized trainers in the villages. The impact of pesticides usage is a close chain the general impact of loops of which (air, soil, water, biodiversity etc.) is manifested in that sustainability of agro eco systems becomes loose and their inner structure and function become destroyed. The project goal is to empower rural communities in order to reduce the risks of impact of POPs and toxic chemicals on human health and the environment (Hayanist, Khachpar, Fantan, Kaghsi, Solak, Dzoaraghbyur). 3. Capacity of rural communities is enhanced in the area of development and implementation of the integrated pest management practices through the creation of farmer field schools and women groups. The project aimes to adopt the approach of all-round raising awareness taking into account that the awareness-raising serves as a basis for the solution of all kinds of problems, the balanced development of nature and the human society. The project envisages equipping the rural population of target villages with ecological knowledge, emphasizing the impact and mitigation issues of toxic chemicals. Information materials will be developed, copied and disseminated. To mobilize the local people in target villages 12 seminars, 4 trainings, 3 farmer field schools, 3 women groups will be organized. Mass media involvement will be conducted through 2 articles in newspaper and 2 broadcasts. A short film will be produced about the impact of POPs, reduction of risks and safe alternatives to pesticides. To guarantee the sustainability of the project outcomes a group of certified trained trainers will be established continuing to provide consultation services after the completion of the project in non-target villages. The agricultural advisers will be chosen from the Agriculture Support Centers of Provinces (marzes), as well as the agronomists of the villages and the appropriate specialists as trained trainers. The recommendation will be adopted by directors of the Agriculture Support Centers and will commit the advisers to highlight the issues related to POPs and toxic chemicals during their consultation. 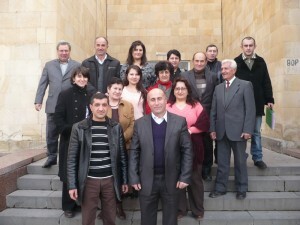 The Armenian version of the Global Training Module on POPs of GEF SGP will be prepared. A toolkit comprising all proper information materials will be prepared for the trained trainers. Two 2-day trainings for 20 participants will be conducted. 2 trainings on GEF SGP Global Training Module on POPs will be conducted for 23 representatives from “Environmental impact monitoring center” SNCO of RA Ministry of Nature Protection, corresponding chairs of Yerevan State University, Armenian State Agrarian University and AWHHE NGO. At the end of training there will be organized a testing and certification of trained trainers and all participants. During the implementation of the project each trainer will hold a consultation for 10 persons reporting back to AWHHE NGO and Agriculture Support Centers of Provinces. The project will also provide skills in alternative and integrated pest management. Farmer field schools will be organized for farmers to provide skills and practical knowledge. To ensure the immediate use of the gained knowledge and the continuity of the project, each farmer, who has possibilities to be engaged in production, will be given 5000 or more Californian worms. These farmers will commit themselves to organize the bio humus production properly to provide his neighbor farmer with 5000 or more worms and explain the specifications of production. Attaching much importance to women’s empowerment as women bear the main burden of family care 3 women groups will be created. 2 trainings will be conducted to introduce the mechanisms of income generating activities with one’s own means, the «know-how» technologies and to support them to start a private business. The project communities are considered to be the beneficiaries and the active participants of the project. About 424 inhabitants of 6 communities will participate in different training courses and in future will become the bearers and spreaders of the gained knowledge. 20 local trainers, 23 members of Monitoring Center of Ministry of Nature Protection, Yerevan State University, Armenian State Agrarian University and AWHHE NGO will be trained on SGP POPs Global Training Module. The knowledge gained during the implementation of the project will enable the beneficiaries to use the pesticides reasonably and safely and will give them an opportunity to avoid extra expenses for the rehabilitation of health. They can also use fertilizers and plant protection means produced in their farms. The project provides income generation mechanisms, for example, production and sale of bio humus, as well as it empowers women to start their own business in this way creating sustainable livelihoods for their families. Due to the limited employment opportunities in the project communities, a significant part of men leave for abroad in search of jobs and the majority of rural women stay alone overloaded with the care for children and households. The project envisages creating women groups where they will be taught and provided skills and knowledge on different income generation mechanisms. POPs and particularly pesticides management is a constituent part of the sustainable agriculture. The whole project aimes to raise awareness on ecological issues with special fosus on POPs and toxic chemicals. The raising awareness on different focus groups’ levels will promote public involvement in solution of these problems locally, as well in decision making process. – The project aims to contribute to the implementation of the national action plan on Stockholm Convention on POPs. 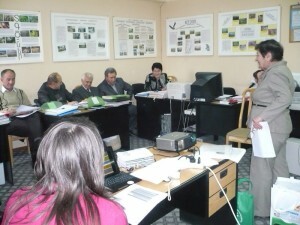 – The recommendations adopted by the Agriculture Support Centers of Ararat and Kotayk provinces will provide continuous process of awareness-raising and will be considered the best alternative for ensuring the dissemination of information and replication of the successful practice by other Province Centers of Agriculture Support. The project has developed a system which will provide preconditions for the production and sale of bio humus. Besides the beneficiaries will use the income generating skills obtained during the implementation of the project. – Training modules on safe use of agrochemicals, sustainable farming practices and relevant information materials are available. – At least 6 rural communities are informed about negative impact of POPs and toxic chemicals. – At least 424 members of 6 communities (direct beneficiaries) have increased knowledge and awareness on negative impact of POPs and toxic chemicals. – Awareness of population in project communities is increased by 50% (indirect beneficiaries). – Noticeable changes in perception and approaches towards the use of toxic chemicals, as well as an interest in IPM approach and sustainable agriculture in project communities are observed. – At least 20 local trainers are trained on issues of negative impact of POPs and toxic chemicals and certified on SGP Global Training Module on POPs. 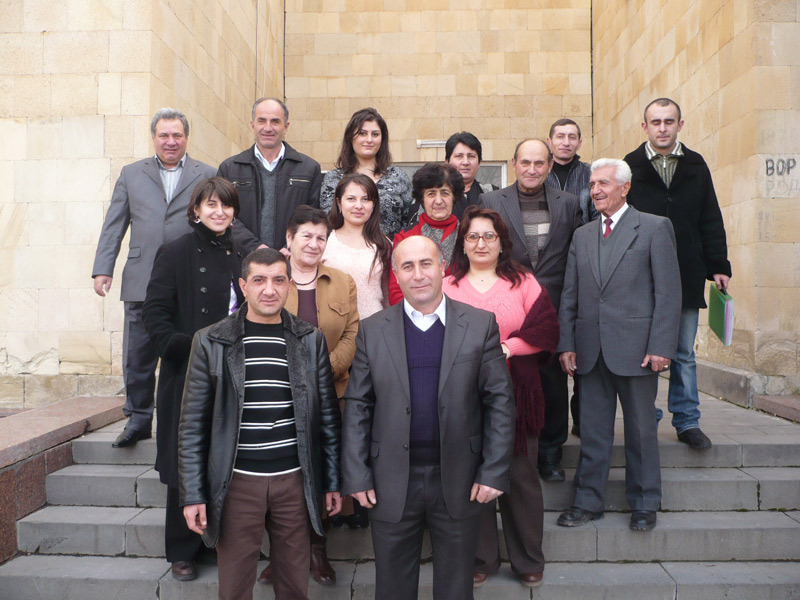 – 23 representatives from the Monitoring Center of the Ministry of Nature Protection, Yerevan State University, Armenian State Agrarian University and AWHHE NGO staff are trained and certified on SGP Global Training Module on POPs. – Trainings of at least 200 persons are conducted by the SGP certified trainers in project communities. – The agreement on acceptance of recommendations of Agriculture Support Centers of Kotayk and Ararat provinces is reached. 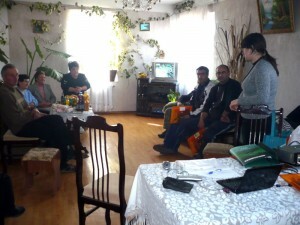 – Three farmer field schools for 30 farmers are established. – Methods of sustainable agriculture, including IPM approach, are practised in 10 fields and orchards. – Proliferation of Californian red worms and production of bio-humus are practised in 10 farms. – Three women groups for income generating activities are created in project communities.